The IRS loves collecting taxes, and if you don’t do your homework, they’ll gladly take your money whenever possible. Any accountant will tell you they can’t count the number of times clients have come in to meet with them after a major transaction. In many instances this doesn’t have an effect on their filing, but in some instances, it can cost them dearly. When you’re preparing to sell a property, meet with an accountant first. That small meeting can save you big in the long run, especially when you are using proceeds to re-invest. This is never more true than with a 1031 exchange. When you buy or sell a property or business for a gain, you are required to pay taxes on it when you sell it. This tax occurs at the time of the sale, unless you plan to reinvest. There are certain properties that are considered similar to the one you sold. Selling a condo you’ve been renting out in order to purchase a house for instance. 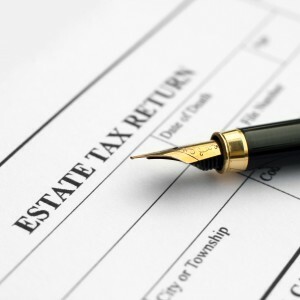 In these cases the IRS will allow you to postpone paying taxes on the sold property. This is called a Like-Kind Exchange and exists under the IRC Code Section 1031. These are not cut and dried transactions, and require the expertise of an experienced accountant in order to determine if the transaction falls under the code, and what the taxable structure will be. These like-kind property exchanges aren’t solely relegated to property, and an exchange can include non-like kind property, liabilities, and cash. In these instances partial taxation may be triggered. The matter is further complicated when a property is exchanged for one of lesser value. Do I qualify for a 1031 Exchange? The short answer is yes. Individuals, partnerships, C corporations, S corporations, trusts, limited liability companies, and others may all benefit from a 1031 Exchange. An accountant will be able to determine your specific case, and more importantly, whether or not the transaction itself qualifies. Property Use – Is the property for business use in any fashion or for residential use? Property Nature – Are the properties similar enough to be considered alike in character? Property Type – Is it real property like land, or is it personal property like a truck? There are also restricted properties that include stocks, partnership interests, inventory, and several more. In addition, if a 1031 Exchange is not carried out in the correct order, the IRS may disqualify the entire transaction and demand immediate payment of taxes owed. This includes taking control of cash before an exchange is complete. Going over your transaction with an accountant beforehand assures that your 1031 Exchange will be in order. When a little time now can save you tens of thousands of dollars in the very near future, isn’t it worth it? Before you sell your property, call (480) 664-1249 or contact LBS Tax for a 1031 Exchange Consultation in Chandler today.